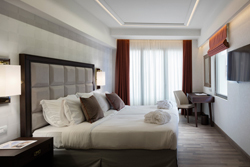 The Electra Metropolis is a brand new 5 star hotel in the heart of the city. 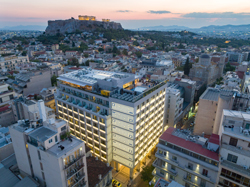 It is situated at the beginning of Mitropoleos Street next to Syntagma Square, the most famous square in Greece, and has been welcoming business travellers and holiday makers to Athens since September 2016. 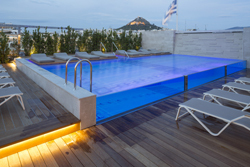 This Athens luxury lifestyle hotel is near many Athens tourist attractions and other places to visit in Athens, Greece. 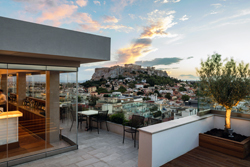 This new jewel of Athens is founded on the values of Electra Hotels & Resorts, and has 216 luxurious and fully equipped suites and rooms with views of the Acropolis and the old neighbourhood of Plaka. 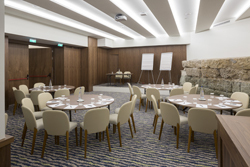 There is also an impressive atrium in the centre of the hotel which is surrounded by restaurants, cafes, the spa and also conference rooms, meeting rooms and lecture rooms which make the hotel one of the best venues in Athens for hosting corporate events in Athens. The hotel also has a unique Roof Garden with a spectacular view of the Parthenon and the entire city. Electra Metropolis Athens is the ideal choice for a successful social or business event. 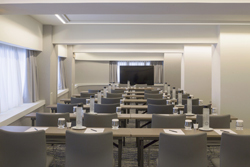 Four fully air-conditioned, naturally lit function rooms, with two of them combining seamlessly to form one large meeting and event room, capable to host from 10 up to 180 guests, all with state of the art audio - visual equipment and experienced personnel, they are available to satisfy the most demanding customer.